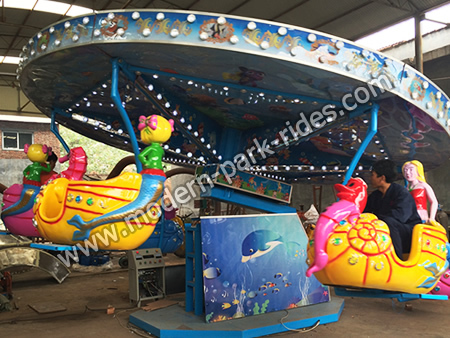 The ocean walking rides are the most popular amusement kiddie rides which have the beautiful and shinning appearance and can attract many kiddie riders’ eyes, even the young people. 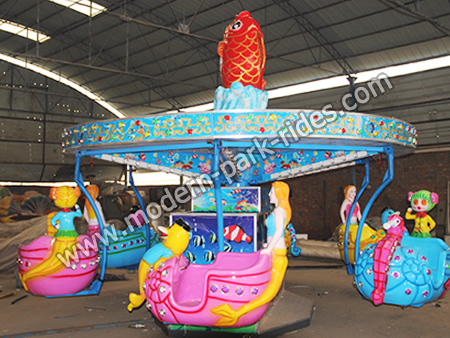 The fairground ride from our factory is designed based on the mystical sea and the cabins are designed like beautiful mermaid, dolphins, cute conchs and other sea animals. Therefore, when riders are riding on the ocean walk fair rides, it will be like they are diving in the seas and playing with them, which can bring a lot of happiness for kids. Modern Amusement Group has the most professional technical knowledge and is one of the top ocean walk amusement rides manufacturers of the global amusement park rides market.